By and large, Filipino food is fusion. Countries that have been a part of Philippine history have left an indelible mark on the local cuisine. A lot of Filipino dishes are of Spanish and Chinese origin but have been given a twist to adapt the recipe to Filipino taste. Caldereta simply means stewed in a pot. It comes from the root word caldera, which means cooking pot in Spanish. 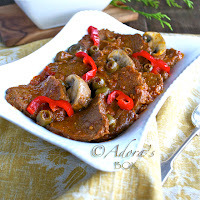 Although the word is very generic, it always refers to a particular Spanish-Filipino dish which is a tomato based stew, not unlike other tomato based Filipino stews but with liver spread (or liver paté in this recipe) added to enrich the sauce. 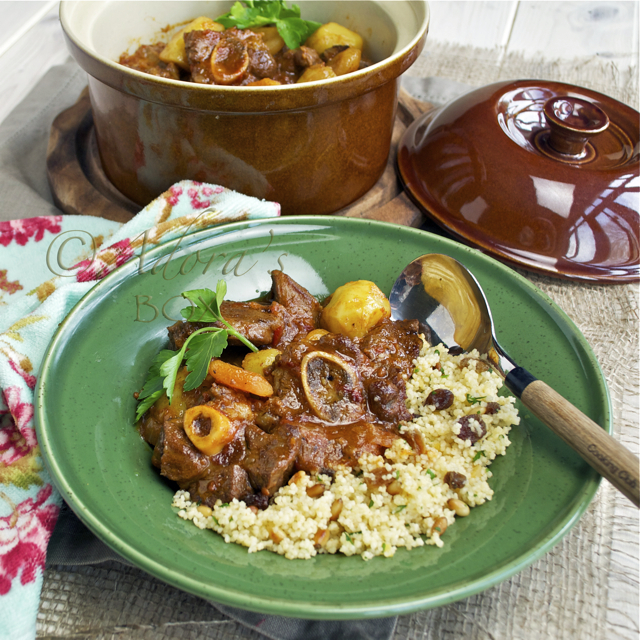 Goat meat was used for this dish originally because the bold flavours counteracts the gaminess of the meat. Nowadays, people are more creative and just use any meat they like. 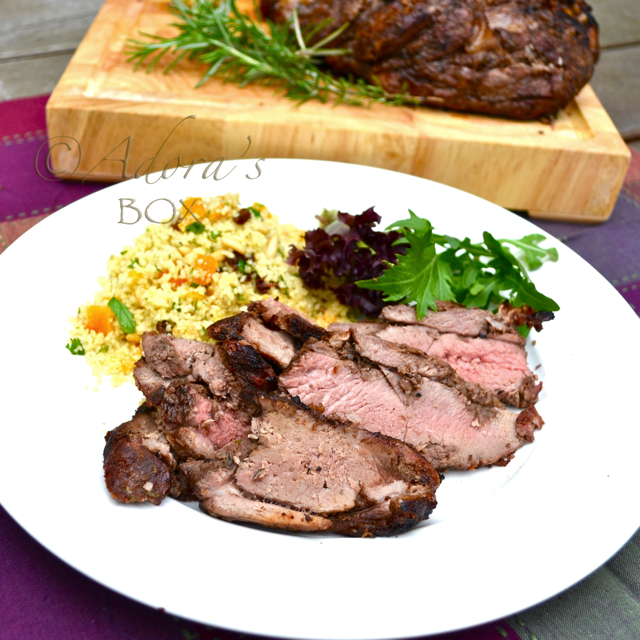 I've used lamb leg steaks for this recipe but beef, pork or chicken may be substituted for it. Mix the soy sauce, Worcestershire sauce, brandy, lemon juice, half of the onion and half of the garlic in a bowl or dish. 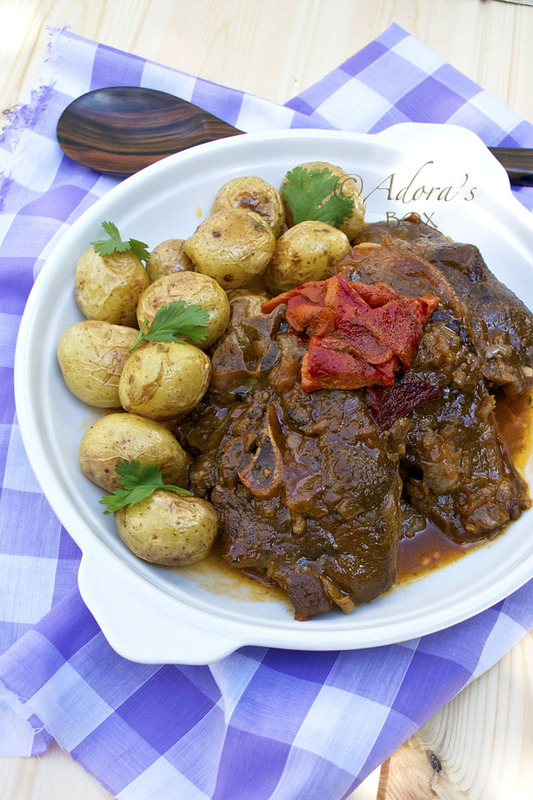 Add the lamb, coat it with the marinade and set aside for at least 1 hour. Scrape off the bits of garlic and onions from the lamb and pan fry on medium high heat until browned. Take off the pan and set aside. Deglaze the pan with the water. In a clean pan, sauté the garlic in the butter and olive oil mixture until light brown. Add the onions and cooked until softened and translucent. Add the liver paté and stir for 3 minutes. Add the fried lamb steaks and the rest of the ingredients, except for the sweet peppers. Simmer until nearly tender, about 45 minutes. Add the peppers. 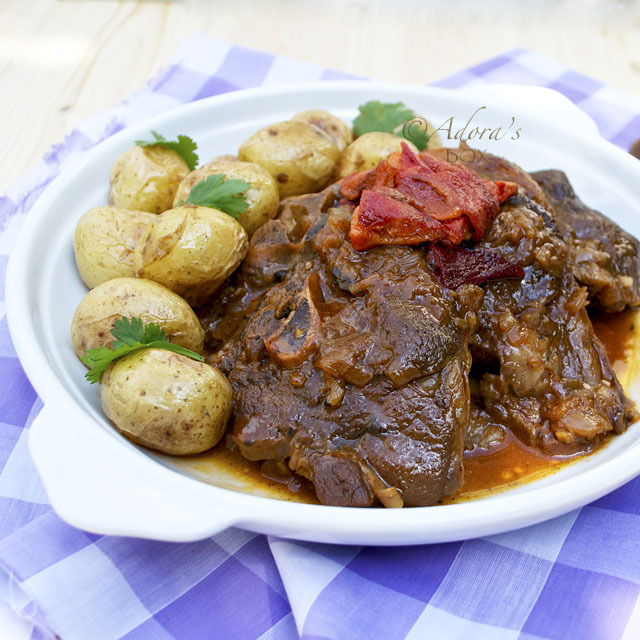 Simmer further until the lamb is very tender. Check the seasonings. 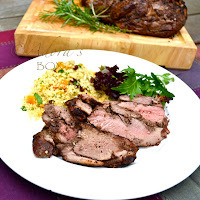 Barbecue Leg of Lamb with Rosemary and Garlic. This dish sounds really good, I bet it is nice and rich. I love when spring rolls around and lamb starts showing up in the market. Have a great weekend. Looks really good and I bet it is yummy! That looks great. I have had goat and beef but not lamb.